•	Easy to customise – cPanel has various themes that can be installed, or you can create your own themes and custom branding to give your cPanel a unique look. •	Effective – anything you need to do can be done with cPanel. •	Compatible – works with all web enabled GUI-based operating systems, and works on desktops, laptops, netbooks, tablets, and smartphones. •	Feature-packed – cPanel comes with a rich variety of pre-configured extras that will make it easier than ever to create your dream website. It is the last of these attributes that we’ll focus on in this article. So many of the features in cPanel are immediately useful whether you are a seasoned website host or a complete novice. Even if you haven’t got a website yet, you can start making the most of your domain name right away by ensuring all your staff have professional email addresses. That’s the most basic step and probably the first thing every new website owner will take care of first. You have access to all the email functions through the email section on cPanel. You’ll find all the various features are grouped into these collapsible sections, which makes it easy to control what you see on the screen. Some cPanel themes even allow you to drag and drop the sections to the order you want them to appear in. •	Routing – you’ll need this feature if you’re going with a non-standard configuration, such as if you are receiving or sending emails through a third party system. •	Filtering – you can create rules for how the server should respond to incoming messages based on the sender, subject, or other criteria. Filtering at the server level can be preferable in most cases, because it prevents unwanted messages being downloaded to your devices, saving you bandwidth. •	Authentication – DKIM is an authentication technology that attempts to automatically verify the sender of an incoming email message to help protect you from spam. SPF is used to authenticate your outgoing messages to help avoid spam messages being sent out through your domain. It’s recommended to leave these settings on, but they may block messages that don’t fit the rules. •	Encryption – You can create and use PGP keys to use with your emails. •	Forwarders – you can automatically forward incoming messages to another domain. •	Autoresponders – these are used for automatically replying to an incoming email. These should be used with some caution because there are times when automated responses are appropriate and times when they are not. Most of the time it’s more efficient to use FTP for managing files on your server, but when you just need to do a quick fix, the built in file manager of cPanel is there for you. You will find this in the Files section. Everything works very similarly to a desktop file manager like Windows Explorer, Thunar, etc. There is a very small learning curve, but once you understand how it all works, it will be an additional string to your server management bow. If you’ve uploaded a batch of image files to the server, you can save some time on common image processing tasks by allowing cPanel to automate those tasks. You’ll find the image managing tools in the Files section under Images. •	Thumbnailer – automatically generate thumbnail versions of all the images in a directory. •	Scaler – if you forgot to scale your images to be server friendly before uploading, this tool will allow you to do that. •	Converter – if you uploaded your images in the wrong format, use the converter to change them to the correct format. There are other ways to perform these tasks, but being able to do it directly on the server can save you some time and effort. This is one of the more advanced features, and you’re more likely to need to use it when you have multiple domains to manage through one account. 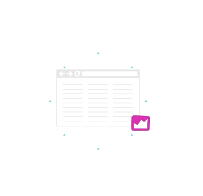 As an example, you may have created a domain for your local business, widgets.co.ie for example, and another domain to cater for international audiences (this allows you to tailor your content specifically for Irish visitors on one domain, using local expressions that may not be well understood outside of Ireland). You can make one of your domains a subdomain or add-on domain for the other. For example, widgets.co.ie might be an add-on domain of widgets.com, and while they each are independent, they can be managed from a single access point and can easily share resources. It’s important to understand the difference between subdomains and add-on domains. A subdomain is really just a directory within a domain that can be used to help visitors go to the right location easily. For example, mcdu.equicom.net is a subdomain of equicom.net, and can be accessed just as easily by typing equicom.net/mcdu – the important part is that it’s not a separate domain even though the content can be completely distinct from the main website content. An add-on domain is very different. This does require purchasing an additional domain name, and allows you to host the content for more than one domain in the same server space. Another type of domain hosting is a parked domain or alias, which is where you use more than one domain name to point to the same location. This also involves purchasing an additional domain, but unlike add-on domains and subdomains, you don’t create a separate directory for the content. Not every site needs a database, but if yours does you will find all the tools you need in cPanel. Creating a new database can be done with the MySQL Wizard, and then you can do all the database operations by accessing phpMyAdmin. Keeping your websites secure should always be a top priority, and cPanel certainly provides plenty of tools to help you do that. Using the cPanel security tools you can install an SSL certificate, block access from certain IP address ranges known to be malicious or undesirable, protect assets on your site from hotlinking and leeching, and set up SSH access. In addition to the ordinary security procedures, which help keep your site safe from attack, it’s still the most sensible precaution to make regular backups just in case a problem does cause something on your site to break. cPanel provides many tools to make it simple to back up and restore your site using either manual or automated processes. The learning curve here is a bit steeper than for most of the other tasks you might do in cPanel. The first option is the simplest. From here you can download the most recent incremental backups made on your server, which is a simple archive file in tarball format (.tar.gz)which most modern archiving programs can unpack. File Backups is away to restore individual files that have somehow changed in an undesired way. This saves some time because only the one file that needs restoring will be restored. Using Cron Job Backups is not something most people will want to bother with. Cron is a Linux and Unix task scheduler. DNS Zone Backups are just the same as Full Backups but on a multi-domain site you can specify that you only want one of your domains restored. Using the Database Backups feature, you can backup and restore databases, but only if you have set your system to already backup databases separately to the rest of the site (which is not really necessary). The effectiveness of Email Backups depends on how often you download your email messages and remove them from the server. Obviously messages that are not on the server when the backup occurs will not get backed up on the server. SSL Certificate Backups are simply a backup of the SSL certificate for a domain, if one exists. This feature is a security tool to be used in case somebody gains access to your site and replaces the proper SSL certificate with a fake one. We saved the best for last. With Softaculous, you get access to many of the hottest titles in web application software. While it’s certainly possible to install each application individually without using Softaculous, you won’t normally want to do it that way because it would involve a lot of extra work and configuration. When you use Softaculous, everything is configured automatically, tailored for your own website. Many site owners don’t realise it, but Softaculous contains such a wide range of software, there is pretty much everything you could ever need for any business purpose. In fact, with Softaculous, you be able to eliminate a lot of your present software licensing costs, because you can replace the offline software you use in your office with online software you run from your web server. •	All the big name CMS packages are present, including WordPress, Joomla, Drupal and many more. Using a CMS is not strictly necessary, but if you do want to use one, it’s good to know that it is so easy to install directly onto your site this easily. 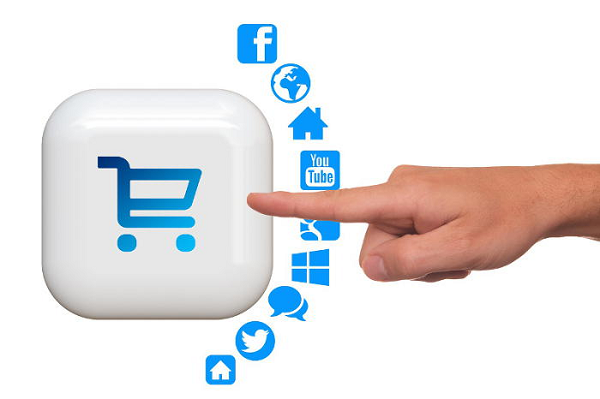 •	There are powerful mainstream e-Commerce packages too, including PrestaShop, Magento, Zen Cart, BoxBilling, and more. •	You also have access to some less mainstream commerce packages that are perfect for specific niches. For example, boost a real estate website with the Open Real Estate package, keep track of hotel bookings with Booked, or run a tech support business with Vision Helpdesk. •	For bigger businesses there are enterprise level tools including ERP and Project Management solutions. Many of these have a clear focus on IT businesses, while others are more general in nature. Feng Office is probably the most general of the available options in project management. There are ERP tools for CRM (YetiForce, SugarCRM, Vtiger, etc), accounting (FrontAccounting, Akaunting, WebERP), HRM (OrangeHRM, Jorani), and collaboration (EGroupware, GroupOffice, Tine, etc). •	Educational organisations will also find software aimed mainly at their industry, including classics like Moodle, Chamilo, ATutor, TCExam, eLabFTW, and many others. •	There are also tools for hosting video collections, music, social media platforms, multiplayer games, and even personal cloud storage solutions (eg. OwnCloud, NextCloud, etc). In total there are 25 categories with over 400 individual applications to choose from, and also the SitePad website builder for those who don’t have a preference for developing sites in HTML. With all these built in features, and quite a few additional ones that aren’t covered above, you may expect cPanel to be hard to use, but in truth it is exceptionally easy. It’s built more for functionality than beauty, but everything just works. While using cPanel is very easy, there is plenty of documentation to help, and for those who want to truly master the technology there is even a cPanel University where you can learn every detail and get the credentials to prove it. Because cPanel is the most popular web hosting control panel by a very large margin, learning to use it is one of those skills that will always be a genuine asset. Most importantly, cPanel empowers anyone (regardless of technical ability) to effectively manage a website easily. If you’re making your first expedition into hosting your own website, you’ve come to the right article for advice. We’re not going to make any assumptions here about what you already know, so you’ll get all the information you need to help make getting started as smooth as possible. This is a really important point. Cost is not a good indicator of what you’re going to get for your money. Even though the features-to-price equation is generally true in terms of getting value, do be careful not to pay extra for features you’ll never use. •	Disk space – more is better. You need enough space for all the web pages (structure + program code + CSS + content (text, images and video)), plus space for extra things such as databases and email. •	Bandwidth – more is better. Most hosting plans will have more than enough bandwidth to get you started off, and how much you actually need depends on how popular your site is going to become and the type of content you’re hosting. Bandwidth is the total amount of data uploaded and downloaded from your site per month by all the visitors, including yourself. •	Support options – more is better. This is especially true when you’re just starting out, but it’s actually also true for every web hosting customer. Quality of the support is also a factor, and that’s something we’ll discuss in detail in just a moment. •	Payment options – more is better. Good web hosts make it easy to pay your hosting bill, offering you a choice in how, when, and how much you pay for your services. Many people misunderstand the importance of size when choosing a web host. The vital thing to know is that you don’t necessarily want to go with the biggest and most popular hosting service. That’s a strange thing to say, so let’s take a moment to explain what it means. Normally, popularity is a good thing, but web-hosting services are a special case where this is not necessarily true. This is because the resources available for hosted sites on any one provider are finite. Quality of service can be expected to decrease when the number of customers gets large enough to exceed the resources available to support that number. You can imagine how the popularity of a host (and the popularity of the sites it hosts) impacts negatively on the quality and performance that can be provided by the available resources. •	Competition for computing resources. Each server (or server cluster) has a limited amount of CPU, RAM and disk space available. Hosting companies always need to have purchase or lease more servers than they need in order to support the number of customers they have, and high quality servers are very expensive. •	Competition for bandwidth. Websites receive traffic from human visitors, web crawling “robots” that index pages in search engines, and from internal activities. Every email, picture, video, piece of text content, and line of program code connected to any one site is eating into the bandwidth limit. •	Competition for support resources. This may be the most crucial point of all. The quality and performance of site support must decrease if the hosting company is too popular. In order to ensure you get adequate support, what you need to do is choose a hosting company that is large enough to provide the infrastructure you need, but still small enough to be able to dedicate personal attention to you and your needs. A good example is Hosting Ireland, which is a very popular choice for business customers, but has not grown to the extent that it no longer provides personal support from its own staff. That means more personal support that is tailored to you, and gives your problems an appropriate amount of attention. Many larger companies cut some of their support options, farm their support services out to third party services, and/or limit the amount of time any support worker can dedicate to resolving any one particular issue. The lowest cost hosting option is shared hosting. This allocates the resources of a single server among many customers, keeping costs down and still providing adequate performance to meet the needs of smaller sites with lower bandwidth and performance needs. The very best hosting option, which obviously also costs the most, is dedicated hosting, where the resources of a server are dedicated solely to one hosting customer. In between these two extremes there is an option called a Virtual Private Server (VPS), which combines some of the cost savings of shared hosting with most of the advantages of dedicated hosting. There is still some competition for computing and bandwidth resources, but you are also more isolated from other customers on the same server and have full control and autonomy over the management of your server space. Which one you should choose depends on the size of your business and the volume of traffic you expect to be handling. For most small to medium businesses, VPS or shared hosting should meet their needs comfortably, and a good web host should make it easy to upgrade if your needs expand to a higher level. Unless you need the features supported by a Windows server, most business and personal sites will be better off with a Linux server. 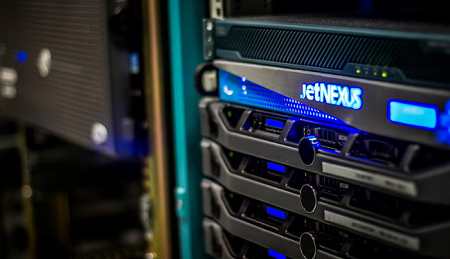 This simplifies your hosting, costs less, and provides the most flexible range of options. Regular hosting or WordPress hosting? Some hosting customers decide they want to use a particular technology such as WordPress, and then buy a hosting package that limits their choice so that WordPress is the only thing they’re able to use. That can become a problem if you later find that you need to do other things with your site. So while “WordPress hosting” may sound like something you might want, it really isn’t the best choice in the majority of cases. Good hosting services make installing WordPress really easy, and you can always pay somebody to do that for you if you really need to. Hosting Ireland provides web hosting with a website control panel called CPanel, and one of the many features of CPanel is an installer system called Softaculous. Using this installer, you can install WordPress very easily, but you’ll still have full server control through your CPanel to do other things like administrate email, create your own custom MySQL databases, and manage other site features more easily. All around the world, right at this very moment, there are thousands of companies competing for the chance to host your website. Some of these companies are offering great deals, and some of them are offering deals that are not quite as good as they may seem. It’s really important to understand that choosing a web host is not a choice that should be made lightly. Making the right choice is important from the outset, because wrong choices are often difficult and costly to correct. One pointer we can give you that should definitely be part of your consideration is that if your business is based in Ireland, it will be genuinely to your advantage to choose an Irish hosting service for your website. •	Connect with your customers faster. Most Irish businesses do most of their business in Ireland with Irish customers. When your site is hosted in Ireland, clients connect to your website in the shortest number of hops. It may not be a large difference, but it does make a difference. •	Better privacy. Irish law provides better privacy protection for individuals and corporations than many other countries, including the UK and the United States. When your Irish customers connect to your website entirely within Ireland, the communication has the full protection of Irish law. •	Better accountability. If your web host is located in a distant land, there is not much you can do about it if you’re not happy with the service they’ve provided to you, or if they’ve misrepresented themselves. If your host is located in Ireland, however, you can just as easily take them to court as any other Irish corporation. You can hold Irish web hosts to the promises they make to you. •	Local business hours. Irish web hosts are on the same clock you are. Not every Irish web host provides technical support in-house, however, so it’s important to make sure of this before you commit to any particular host. •	Local location. If your data centre is located in Dubai, Darwin, or Dallas, you will normally have to take on faith any claims they make about infrastructure or personnel. If your data centre is located in Dublin, Derry, or Dooliehikle, however, you can simply drive there and see for yourself. •	Local language. Irish web hosts speak your language, including understanding local idioms and colloquial phrases. •	Simpler billing and taxation. The tax situation in Europe can be mind-boggling. When your business and your web host are both located in Ireland, something magical happens. All the complexity of taxation and billing is smoothed out, so it’s easy to understand and provides maximum benefit to you. As you can see, there are many reasons why it can be an advantage to choose a web host based in Ireland for your Irish business. Being popular and being worthy of that popularity are two different things. A good web host is one that can provide value for money, where the selling price is an important component of that value, but not the only one. Overall you can determine value from the combination of price, features, support, and annoyances. If your web host can deliver minimum annoyances while providing good features, excellent support, and an affordable price, then you could assume it is providing value. On the other hand if it lets you down in any of those areas, you could assume it is not providing value. GoDaddy appears to be all about volume. The low selling price brings customers in, and what usually has those same customers swearing through their teeth moments later is all the bundled deals they find themselves having to opt out of during the checkout process. That checkout process is also frustratingly complex. All in all, GoDaddy is a service that should be fine for those who know what they’re doing, but most of those who know what they’re doing avoid this hosting service because there’s too much advertising getting in the way at every step. Probably the most complained about issue regarding GoDaddy is the aggressive use of policy to make money from customers who slip up. Sure, it’s the customer’s responsibility to pay on time and to be aware of their obligations, but very few legitimate web hosts enforce policy as strictly as GoDaddy does. The best thing that can be said for GoDaddy is that it’s a company that isn’t going anywhere. With over 43 million registered domains, GoDaddy is a living testament to the power of marketing. Here in Ireland, it’s hardly surprising that the number one website host for popularity is Hosting Ireland. The very reasonable price is the first thing to catch the eye, but by no means the only reason to stick around and investigate further. 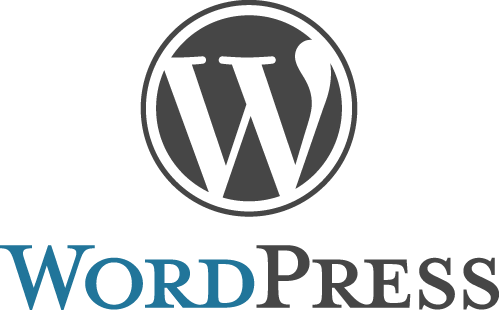 What we find with this hosting provider is rock steady performance, stellar customer service, excellent technical support, and a flexible range of options that is not too complex. Behind the scenes, there’s none of that custom interface nonsense, just all the most desirable features any decent web hosting provider should have available, including an unmolested version of cPanel. cPanel, makes site management easy, with most functions reduced to simple point and click processes, with minimal input requirements and plenty of automation to assist you. Through your cPanel interface you’ll also have access to Softaculous, which allows you to easily install applications according to the individual needs of your site. In total there are over 390 applications available to you at no extra cost. Hosting Ireland also allows you to upgrade or downgrade your site easily as your needs evolve. This is great because you’ll only be paying for what you need, and you can start off with a low cost solution to help you get on your feet, then expand when you’re ready. Hosting Ireland is thoroughly Irish, with data centres located in Dublin. Websites hosted with this provider will have an Irish IP address, and also will provide lightning fast connections for users visiting the site from Ireland. Exhaustive searching failed to turn up any rants against this hosting provider, so it seems a fair bet that you’ll be in good hands with Hosting Ireland as your site host. Over 3 million people call 1&1 home, and with websites starting from USD $0.99 per month, it’s not hard to see why the company has gained a high level of popularity. That popularity was in a steady decline since 2015 before suddenly nose-diving in 2017. So what’s actually going on? 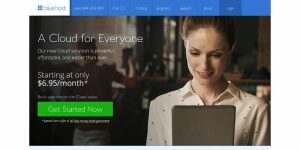 It turns out that quite a number of people have been complaining about receiving unexpected charges after signing up for the ultra-cheap hosting plans. The issue is that people are given add-on packages they have no recollection of having requested. It all comes down to a tiny opt-in box which is “helpfully” pre-selected for the user when they subscribe, but unfortunately it seems most users never even notice it. Then after the first 12 months at $0.99 per month, the price jumps to $7.99 per month. In the past, it was easy for certain types of companies to get away with all kinds of things, but with the social media scene being what it is today, those days are long gone. Apart from these issues over billing, most publicly posted complaints and negative user reviews have focused on customer support, which is rarely described in flattering terms. Of the user reviews we tracked down, over 85% were describing the service as less than satisfactory, while only around 6.2% were positive. For customers in Ireland it could be a problem to communicate with this provider, because according to user reviews, some services can only be cancelled by phone. There is only a US telephone number, and reportedly long holding times. If you’re feeling nostalgic, the site design of Blacknight will take you right back to the early 90s. Enjoy. The packages on offer are almost as good as those offered by Hosting Ireland, except the bandwidth offered by Blacknight is limited where Hosting Ireland has unlimited bandwidth, and the most expensive plan from Blacknight offers 10GB less disk space than the most expensive from Hosting Ireland. It’s hardly fair to make the comparison entirely on price, however. There could be other factors that help Blacknight gain some ground. So let’s take a deeper look. Hosting Ireland provides Softaculous as part of the cPanel suite that comes with every site hosting package from Hosting Ireland, and that gives you access to more than 390 of the most popular applications of interest to website owners. Blacknight eschews these popular technologies, opting instead for white label solutions they call the “Blacknight Customer Control Panel” and “Blacknight Application Vault” which contains around 20 of the most popular applications. That does matter if you’re an experienced hosting customer who is familiar with cPanel and needs any of the applications not included in the Blacknight Application Vault. Of course you can still use any applications that will work on your chosen server type, but any that aren’t in the Blacknight Application Vault will have to be manually installed and configured by you. Customer support is very good with many options available for users. Overall the hosting service offered by Blacknight Solutions is reasonable value, but slightly below that offered by Hosting Ireland, mainly due to offering slightly less for around the same prices. Names don’t come much more American than “HostGator”, and this is one of the oldest surviving hands in the game. HostGator’s market share has been in decline since 2014, crashing from a peak of almost 3.3 million hosted domains to just under 2.5 million by the end of 2017. Some of the mystery surrounding this slump may be cleared up if it’s understood that HostGator was bought up by the same company that bought GoDaddy and BlueHost, the standards of all three having noticeably slipped since before they were bought. HostGator plans start from $3.95 per month. These are cPanel based hosting solutions, but the normal market that HostGator attracts is experienced site owners who don’t need a lot of help to get going. If you’re just starting out, HostGator is probably not an ideal choice. Customer service was never especially strong at HostGator, but the latest user reviews reflect that the situation has taken a turn for the worse. One of the oldest of the surviving Irish hosting companies, it continues to be popular, though in some ways may feel a bit antiquated. The very generic web design of the company’s own home page will be enough to put off many potential customers, but they’re actually not bad at all. Where you may find fault is the higher pricing compared to most other Irish hosts (possibly seen as a perk of “seniority”), and that by now they’ll be hosting a lot of large, cumbersome, big business sites. If you’re not sure why that would be a factor, actually there are two reasons. The first is simply that hosting too many sites, especially sites that have been around for more than a decade, is likely to have an impact on page loading times. The second reason is that, as the American examples have shown, when hosts have too many clients, customer service is often the first casualty. Support staff in larger organizations often don’t have time to provide quality support, and priority is usually given to revenue collection. MyHost uses Plesk instead of cPanel, and that’s OK, but would make it more difficult to migrate to another hosting service in the future if you needed to. This Irish hosting provider is quite business-oriented, which is a good thing. The concern is that with this host you’re paying a bit more to get a bit less, and that’s just not good economics. With good uptime, fast page loading, cheap prices, and plenty of integrated features, BlueHost offers customers quite a lot of bang for their buck (as the Americans would say). On the subject of money, all is not as it may seem on the pricing front. BlueHost hooks customers with a low introductory price, but that price jumps up after the introductory period expires, and by a considerable amount. Also on the negative side, many customer complaints searchable online are concerned with the quality of customer support, which is described in very colourful terms by some customers. It can be a nightmare trying to migrate a BlueHost site built in WordPress to another hosting service, because of the custom interface used. Migrating in the other direction can be even worse, since most website hosts offer free inbound site migration, while BlueHost currently charges a whopping US $149.99 to bring your site in from another hosting service. BlueHost also emails former customers with marketing emails long after they have ceased to be customers, which some people may find to be annoying. LetsHost is a solid contender with reasonably priced packages, though they’re a little less generous than they could be when it comes to allocating storage space. Just like Hosting Ireland, this is a company that takes pride in being 100 percent Irish, with Irish servers, and Irish tech support. A check did show that in fact the IP address of LetsHost may indicate a UK location (78.137.164.43), whereas Hosting Ireland has a fully Irish IP (91.210.232.211). This is definitely of some concern if you care about the claims a hosting service makes, and it’s also worth pointing out that under these conditions one of the advantages of Irish hosting could be lost when hosting with LetsHost. That advantage is being protected by Irish law and European Union law, which is in full effect when your site is 100% hosted in Ireland and routes all traffic through Irish servers. With LetsHost having a UK presence, and routing traffic through Amsterdam and the US, you are not guaranteed the full protection of Irish and European Union laws. Otherwise there is plenty about the service from LetsHost that looks good. Tech support is top notch according to searchable customer reviews, and the website plans are decent. One minor quibble about the plans offered is the price jumps too sharply between the different plans, which means when you’re ready to upgrade from a “Starter” site to a “Business” site, your monthly bills would rise by more than 300 percent, while your storage space would only double. Meanwhile somehow your tech support entitlements change from “full” to “priority”. Not sure what you think, but last time we checked the dictionary, “full” actually meant full, as in total access to tech support, not being stuck in a queue behind people with a Business level account. It’s clear that the most popular American hosting providers have become victims of their own popularity, in many cases seeming to be unable to provide adequate levels of tech support and customer service simply as a result of their immense size, and in some cases having policies that do not inspire confidence in their customers. Irish web hosts have some key advantages, and one of the most obvious is their location close to home. Apart from that however, they’re smaller, which means more time to give you personal attention and there is much less strain on their server hardware, even when a service is popular. Indeed customer reviews for American services and Irish services couldn’t be more different in their nature. The majority of reviews from users with regard to the most popular Irish services have solid praise for the customer service and tech support people receive, while the American reviews, well… not so much. However if you want to ensure you get the full advantage that comes from choosing an Irish host, you do need to take some care to verify that a company really is as Irish as it claims to be. There is no real economic advantage to choosing a foreign hosting service, because Irish hosting services are generally now so affordable. Yet there are so many advantages to choosing a truly Irish web hosting service it hardly makes sense to choose anything other than a genuine Irish hosting company to serve the needs of your Irish business. Optimised WordPress Hosting: Hype or Real Benefit? In many ways WordPress has had a revolutionary influence on the Internet. Starting life as a humble blogging tool, the popular application soon evolved features common to those found in many specialist CMS applications, but without the steep learning curve. The result has been explosive growth in the number of websites and the diversity of people able to publish them. Where previously technical skills had been required to create a website, now it is within reach of just about anyone. On the positive side, the Web has become an even more democratic place for publication than ever before. The downside, for those who care about such things, is that many websites have become homogenized in their appearance, and not always for the better. Whether we choose to look on the bright side or not, the simple fact is that WordPress is here to stay. For those lacking the technical ability to develop websites manually and lacking the financial resources to pay a skilled developer to do the job for them, it remains a viable means of self-expression. Skilled developers may find the limitations and overheads of WordPress to be somewhat frustrating, but it does provide a safe way to hand over editorial control to clients who don’t wish to pay for ongoing site management. Having decided that you want to go ahead with using WordPress, you then come to the important decision of how and where you’ll host the site. Dedicated Optimised WordPress hosting is the quickest and simplest way to get a WordPress website up and running. This is suitable where you only will be hosting one site from a specific server location. If you’re scratching your head in confusion at that statement, it’s probably not a matter that’s going to affect you. The fact is, you can host more than one site from a single server location, and there are certain circumstances where that may offer advantages. With optimised WP hosting, that option is off the table. A notable exception is Hosting Ireland which does allow multiple sites to be hosted from a single account, making it ideal for web developers and resellers looking for an inexpensive way to provide fully developed WordPress sites to their customers. The main thing in this case is that everything is already installed and ready to go, with none of the distractions found with regular hosting. Optimised hosting can also give you a little more security from attacks, though it’s not going to necessarily be able to fend off all attacks. The other side of it is that optimised hosting makes it a little less easy to do investigative work on your own if your site security does get compromised. You’ll have to rely on tech support to do that for you. You also typically won’t need to worry about keeping your WordPress installation up to date, as the hosting provider may take care of these things for you. There have been some situations where updates have produced negative results, such as if you have plug-ins that are not compatible with the latest version of WordPress, but usually a call to tech support can resolve the problem for you. One of the biggest advantages is that 100 percent of your hosting allocation is dedicated to your WordPress hosting, so if that’s all you’re intending to use your server space for, you don’t have other things taking up space and resources when you won’t be using them. Optimised WP hosting also usually comes with technology called Litespeed caching, a PHP based caching system that is faster than others and will boost the speed of your optimised WordPress site and make it work more efficiently. Remarkably, even though optimised hosting imposes greater restrictions and is less flexible, it is usually offered at premium rates. Presumably the slightly higher price is due to the configuration work performed by technicians when the site is initially set up for you, and the greater dependency on tech support that is expected. Apart from cost, the main disadvantage is that there’s less flexibility. You’re locked into using WordPress, even if you later change your mind about wanting to. You can only realistically host a single site from your server space, and you don’t have access to the tools you’d find in a regular hosting set up such as those found in cPanel. For novices who have no intention to use advanced features, this won’t be a major problem as these features aren’t necessarily ones you’ll want to access. Another potential drawback is probably that you don’t have direct access to the MySQL database that the site uses, but that may be considered an advantage by some users, particularly those who need to work on a collaborative basis. You’re better off with optimised dedicated WordPress hosting solutions when you have a high traffic site and you don’t have time to take care of the administrative side. It’s the kind of hosting you need when you prefer to call tech support for help with problems instead of rolling up your sleeves and hunting for the solution yourself. Regular hosting is the most flexible option, because you can do anything you want with your allocated server space, including installing WordPress. If that’s all you’re going to do with it, then you may prefer the simplicity of optimised WP hosting, though there are still some reasons to consider regular hosting. With regular hosting you can easily create databases manually, and you have access to a vast array of website tools. It depends on the server software you’re running, but most sites are running in a cPanel environment installed on Apache servers. You’re also able to install and test many different kinds of CMS or other software, and you can host multiple sites, subdomains and so on very easily. Another advantage is that it’s usually cheaper, but money isn’t always the top consideration for all customers. Regular hosting is best for people who are confident in using web technology, and who dislike working with tech support. They see tech support as an unnecessary delay in getting problems solved instead of a welcome helping hand. That’s the main difference between people who are likely to choose regular hosting instead of optimised hosting when their chosen publishing environment is WordPress. When you don’t have optimised hosting, you have to do a lot more yourself. You can contact tech support when something goes wrong, but you’ll first have to experience something going wrong. You will be responsible for installing and hardening WordPress yourself, and you’ll have to keep it updated yourself. •	Hosting Ireland WordPress plans start at 5.99 euros per month, with unlimited bandwidth, 10GB of space (2 extra euros per month for 5GB extra if you should need it), and more extras than we can list. You also get 2 months free with annual subscriptions. •	WP Engine has a pricier option with plans starting at around 19 euros per month. These plans don’t have unlimited bandwidth, but what is offered is still fairly generous. This is the right choice for those who prefer to deal with giant global corporations rather than local businesses. •	WordPlace is aimed squarely at complete beginners. Their paid plans start at just 5.99 euros per month, and come with 1GB of disk space and 10GB of bandwidth. They do offer a free SSL certificate, but not every site will need one, and the quality of the certificate is entirely up to the provider. Optimised WordPress hosting is the perfect solution for website customers who are planning only to use WordPress in their hosting and who prefer to leave the management to the providers. As you can see from the three top WordPress hosting companies in Ireland listed above, the pricing for optimised hosting doesn’t have to be off the charts. The unlimited bandwidth offered by Hosting Ireland certainly makes them the most attractive option, but WP Engine has the reliability of a huge corporation and WordPlace has the free SSL option on offer. 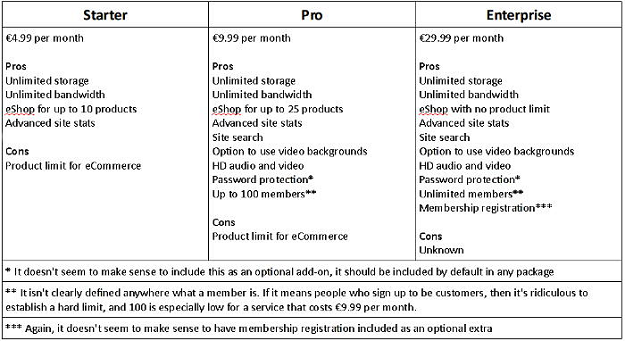 Hosting Ireland was also the only one of the three that made optimised WP hosting optional, and the cost for this is only 1.40 euros more than the standard regular hosting plan, so this is further food for thought. Comparison of Site Builders in Ireland…. But sometimes it can be the case that you lack the required coding skills to develop an entire website all by yourself, and also lack the financial resources to pay a competent developer to build a site for you of a suitable quality. Should you just give up? Heck no – because there’s a reasonable compromise available, and it’s one that might help you meet your publishing needs without a major investment of time and money. This solution, as you can no doubt tell from the title of this article, is to use an automated website builder. Now, it is important to understand that these systems aren’t for everyone. If your site needs to do something very advanced, this method may not be best for you. But if you just need a general business website that doesn’t need to be uniquely special, automated site builders can save you time and money. In this article, we’ll review the most popular automated site builders in Ireland, so you can evaluate whether this is the right way for you to meet your publishing needs, and decide which company will be best for you to work with. For each provider, we’ll examine the available pricing plans, quality and variety of templates offered, performance, and ease of use. Wix is the most well-known of the automated site builder providers because it was one of the earliest ones and indulges very heavily in marketing, especially on social media. Wix has the option to include a free, ad-supported, Wix branded website, with no obligation to upgrade to a premium service. For most businesses, this would not be desirable, because it makes your site look amateurish and cheap. Just because you didn’t pay to have your site professionally developed doesn’t mean you want everyone to know it! Wix has more than 350 free templates to choose from, however as is usually the case, the popularity of this provider means that many businesses within the same nice may end up with very similar websites. You can avoid this problem by using one of their blank templates, however this also means you’ll need some design skills. The selection of templates feels limited. If you were creating a website for a restaurant, for example, the choices are limited to: Burger Corner, Pizza Restaurant, Vegetarian Restaurant, Steakhouse, Mexican Taqueria, Asian Restaurant, Mexican Restaurant, Restaurant Site (haute cuisine / nouveau cuisine), Tapas Restaurant, Vietnamese Restaurant, French Cuisine, Sushi Restaurant, and Italian Restaurant. So unless your restaurant fits into one of their neat little stereotypes, you’ll need to invest extra effort and time into modifying the template to work for your business. This may depend on what browser and operating system you use. On my Linux system running Firefox, Wix appeared to cause a gvsd metadata loop to start up on multiple occasions, which leads to excess hard drive access. It also increased the resources used by Firefox until the gvsd metadata loop was manually shut down, whereupon the system returned to normal. If this happened only once, it wouldn’t be worth mentioning. The fault may not be exclusively caused by Wix, but it was the only provider that triggered this issue on the test system. 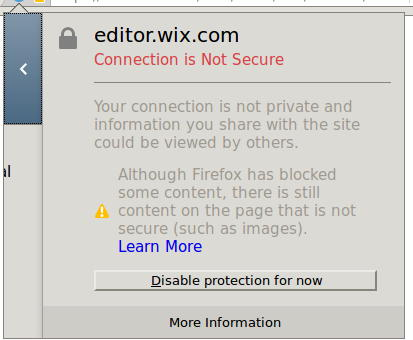 Accessing a site already built with Wix was not impressive either. The page loading time was excessive, and I was also not impressed that Wix hides the page source in encrypted form. After signing up for a free Wix account, you are asked what kind of site you want to create. There is no delay waiting for your email address to be verified, etc. Select the category of your site, and then choose a template. A very lengthy delay then ensues, with a splash screen to show it is working, but no progress indicator, so the user will not be sure how long it is necessary to wait. After 10 minutes, it still had not completed, so I restarted the process. After another 10 minutes, I abandoned their site on the basis that it clearly wasn’t working correctly. Reliability is important for any hosting service, and persistent errors are not acceptable. Other reviews have described the editor as “easy to use” and I guess this can be accepted as true. I was disappointed not to have the chance to see for myself, however. This provider gives the option of building the site yourself or having them do it for a fee. It’s worth taking into account that the fee is too low for them to be creating you a genuinely bespoke website, but if you’re comfortable with buying off the rack, it’s probably still better than going for a total DIY job. On the other hand, if you prefer to tackle the task yourself, it’s completely possible with their Website Builder tool. •	Register365 is also providing more value straight out of the box than Wix does, as many features of Wix that are optional add-ons are provided by default by Register365. However, we still can’t recommend them unless you’re never going to travel the world, and never going to work with any subcontractors located internationally. Why? Because if you log in from a non-European IP, they will lock you out, and the only way to resolve this is by phoning them, because they only provide phone support (which is not good enough). They will do this even if you registered in the first place from that non-European IP. So for us, Register365 is a no-go, because you should be able to log in from where you want. It is super-discriminatory to assume that you’re an intruder based on where you’re logging in from, and ought to be illegal. Register365 only provides somewhere between 100 and 200 templates, which means you’re even less likely to find a suitable one for your business than you would have on Wix, and even more likely to end up being “twinned” to one of your competitors due to using the same template. Register365 did not trigger any of the performance issues encountered on Wix and was impressively quick to load. The only downside was the log in screen, which has quite an amateurish appearance, and not what we’d expect from a major service provider. Their lack of support for globalised industry also has to count as a point against in terms of performance. The interface was a little more complicated than expected, but it’s still easy enough to get to grips with. You start by selecting a template for your site, and then clicking the “Edit” link. 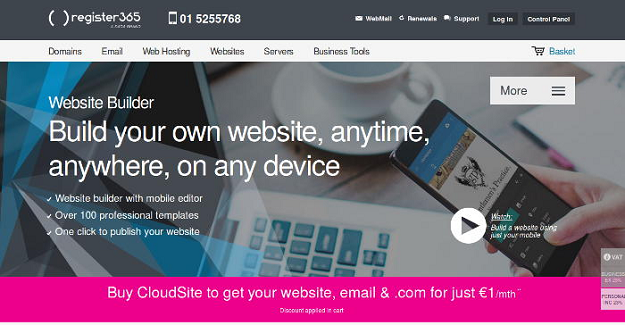 CloudSite templates are made up of components called widgets. You can edit each widget directly by clicking on it in the editing area, and you can drag-n-drop widgets from the left panel. The knowledgebase for this system is scanty, and for this reason it’s not easy to recommend Register365 to anyone with no prior experience in designing and building websites. Considering that this would be the main market for this kind of service, the logical conclusion is that updating the knowledgebase to be more comprehensive should be their highest priority. This service demonstrates the concept of “you get what you pay for”. It’s the cheapest option out there, but it’s lacking in too many areas to be an easy recommendation. This service could be of interest if you’re strictly a local business and you aren’t interested in a nomadic lifestyle or working with a widely dispersed global team. This service was the easiest to get up and running with quickly. Registering was a snap, and required only a name, email address, and password to be entered. Once registration is completed, the user is taken immediately to begin the process of building their site. 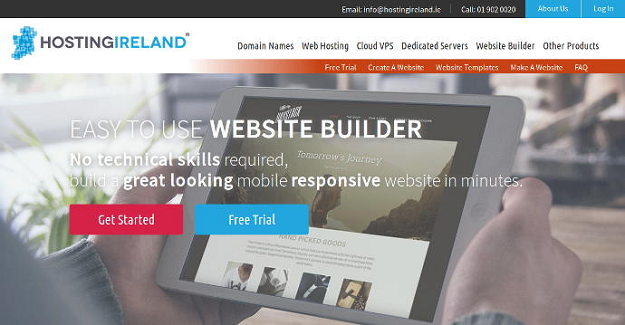 Hosting Ireland offers three different website builder packages that you can create a website with. At first the pricing may seem high, but when you take a look at the inclusions, you can see that these packages actually represent excellent value. The Premium package, in particular, comes under notice, offering a free IE domain and free SSL certificate included, at only €149 per year for an annual subscription. What makes Hosting Ireland stand out is the added value from all the inclusions. While their regular hosting is even more affordable, and also excellent value, if you need the simplicity offered by a website builder application, these packages are an excellent choice. The number of templates available was low in comparison to Wix, but then none of the website builders (including Wix) are offering anywhere near enough templates to meet the demand. The starter site had the lowest number of templates to choose from, while both of the higher priced options include more than 100 templates. It’s worth noting that these templates offer certain enhancements as standard inclusions that would be paid extras under most of the other services in this review. The performance was impressively fast during testing, and there was virtually no lag, even when tested using a Wi-Fi connection. There wasn’t a great deal of difference in ease of use compared with Register365’s CloudSite, with the only real difference being that the widgets are dragged down from the top of the screen instead of from the left. There are also more widgets to choose from. At first glance, it looks like LetsHost is offering very similar deals to HostingIreland, but actually the differences are definitely there to be seen. LetsHost has a more solid focus on eCommerce, and offers it even on their lowest package deal, but they’re not including as many freebies and bonuses. In some ways this looks good because the basic price is not too high and includes eCommerce at every level, but then you start to notice a few things. The first of these, which was really the standout compared with HostingIreland, is that there’s no SSL included, and no free domain included. This thing about “membership” was also confusing, since that should be something entirely under your control, not something your host should be involved in at all. And very alarmingly, they imply password protection is only available on the premium plans, but also it’s not clear what they mean by this. The most concerning thing, however, is that this service stands alone in charging transaction fees, and it’s not clear whether this transaction fee is merely passing on from their payment services provider (Weebly), or is added on top of Weebly’s transaction fees (which would make it a total of 6%). We’re going to assume that it’s not added on top. Either way, for a host branding itself as a stand-alone host to be routing checkout through Weebly just feels slimy. This service has more templates than most of the other services except Wix, but the wording on their site implies there are “thousands of variations”, which is kind of true, but you could say that about any site using templates. A variation just means using different fonts and colours to the default. As an example of how meaningless this is, consider a site that offers 100 different templates, and for each template there are 10 foreground and background colour options. This means the number of variations is 104 (or 10x10x10x10 = 10,000). If you then have 100 different fonts you could choose from, the number of possible variations becomes 106 (or 10x10x10x10x10x10 = 1,000,000). So effectively, claiming there are thousands of variations possible is a meaningless statistic, and it’s not helpful to consumers in making a comparison. All the different providers have thousands of variations. The performance of LetsHost was impressive, with fast loading times even for large images and video backgrounds. Some of the links and scripts on their own website didn’t work when clicked, so that was a minor concern. Otherwise the platform itself seems quite sturdy. LetsHost uses a left column drag interface. The buttons are clearly marked and easy to understand. Navigating within the control panel was a little more complicated compared to HostingIreland but easier than Register365. If you like working from templates, don’t want to pay anyone to assist you, or you want a simple eShop where you don’t have to do any real work to configure it, an automated site builder is for you. Otherwise, regular hosting and a bespoke site built with HTML and CSS is better, because it’s going to give you a lot more control over the end result. From the sites reviewed above, Hosting Ireland offered the best overall experience in terms of value for money, performance, and ease of use. If they added some more templates to their offering, it would be as close to perfect as an automated website builder can get. Every site that is owned by a business, non-profit organization, or government agency should have an SSL certificate. The only exception is where your site does not collect or disseminate any sensitive information. When you have an SSL certificate, users can connect to your site via the HTTPS protocol. The “S” in HTTPS stands for “secure”. Although we use the term “SSL”, which is the one most people are familiar with, the standard has actually been superseded by something called TLS (Transport Layer Security). But you don’t need to worry about this because TLS is going to be enabled by default on any modern web server. Even though the technology is enabled by default, sites that have an SSL certificate still need to set the HTTPS version of their site as the default protocol for inbound connections. A 2014 survey by Moz showed that less than 18% of respondents were already using HTTPS, and as recently as 2015, it was found that less than 2% of the top 1,000,000 sites had HTTPS set as the default protocol. As a user, you can ensure that HTTPS is used whenever possible regardless of a site’s default settings by installing the HTTPS Everywhere plug-in. Using SSL may give your site a boost in Google rankings. In August 2014, Google announced that it would take SSL into account as a ranking factor. It also must be considered that HTTPS does slightly lower the speed of a site, so if your site is already slow (which it shouldn’t be – fix it! ), you could see your rank actually slip as a result of adding HTTPS. It will really come down to the differential between the benefit from HTTPS and the benefit from having a fast site. Google wants sites to use HTTPS because it makes it easier to verify the integrity of a site, but that doesn’t automatically mean you need to do it. Most sites will benefit from having HTTPS, but because SSL certificates aren’t free, you might choose not to have one if the cost can’t be justified. You have to think about the financial cost of purchasing and renewing your SSL certificate. If there’s nothing on your site that needs to be confidential, you may not need to go to the trouble. But if your site collects personal information from the user, has password authenticated log-ins, or engages in any sort of e-Commerce, you absolutely must have SSL if you want to avoid problems and retain the full confidence and trust of your users. Buying an SSL certificate is not like a regular purchase, because there are a few tests and checks that have to be done before a certificate can be issued. This is for the protection of everyone, including you. Usually the easiest way is to get your Hosting company or SEO manager to obtain the SSL certificate for you, because this will simplify the process greatly. If you’d prefer to do it entirely on your own, your first step is to generate a Certificate Signing Request (CSR) on your server. This is a block of encrypted text that looks similar to a PGP signature. What you need to type to generate the request depends on what server software your web host is running. •	C is a 2 digit country code, for example: US, UK, IE, FR, DE, BE, and so on. •	CN is the “common name”, which is a fully qualified domain name (FQDN). There’s an optional value called OU that can appear between O and CN, but it is rarely used, and can cause problems. 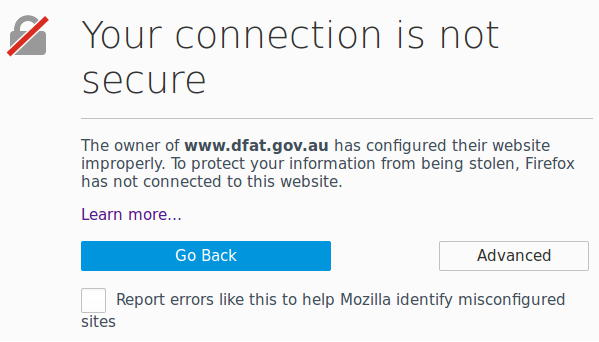 Currently (at the time of writing) the SSL certificate of Australia’s Department of Foreign Affairs and Trade is affected, for example. OU stands for “organizational unit” and means a department within the organisation. In this case it is contained in the generated file “widgets_com.csr”. You need to open that file in a text editor, then cut and paste all the text (including the begin and end instructions) into the online form of the SSL certificate authority you are ordering from. Do not confuse the csr file with the key file. Once the certificate authority has validated your domain and company, it will email you a copy of your SSL certificate, which you then need to install on your server. Due to the complexity involved, most people prefer to have professional assistance rather than opting to do it themselves. WordPress is the technology driving a significant portion of small business websites, largely due to heavy promotion of the fact that it’s easy to manage and that just about anyone should be able to create a simple functioning website with it. Hold that thought for a moment, because we’re about to slide into very different territory to anything resembling a simple website. From here we enter the murky waters of eCommerce, a dark and mysterious art that has led many to their doom. Or great prosperity. It’s all a matter of perspective. The fundamental thing to be aware of is that eCommerce is like jumping in the deep end of the pool. If you’re not totally confident you can swim, you really ought to have somebody with experience watching over you to make sure you don’t go under. The good news for small business operators is that plug-ins for WordPress do help to make the process of getting into eCommerce a little simpler. It’s still best to get help setting everything up unless you’re prepared to put in a lot of effort to learn techniques that you may only ever employ one time. But once these items are properly set up, you should be able to manage your website with the same ease that you have always done under WordPress, just with the added benefit that your website can make money for you directly instead of indirectly. •	Ecwid – This could be one of the simplest to get up and running with, provided your sales environment isn’t overly complex itself. For a simple online store selling a small range of merchandise (either physical or digital), Ecwid fills that need perfectly, and without a steep learning curve to master it. One thing to be aware of is that the developers of this plug-in have decided to monetise it by limiting how many products you can list on a free version, plus also restricting some features. Then the more you are willing to pay per month, the more features they’ll unlock for you and the more products you can list. •	WooCommerce – This is currently the most popular eCommerce plug-in for WordPress, but before you rush to join the hordes downloading it, hit the brakes and think for a moment. This was never a line in a Spiderman movie, but it should have been: With great popularity comes greater vulnerability. You do need to be aware that if you use the most popular solutions for your site, there will be more people trying to hack you and greater chance that they will succeed. Another possible drawback to WooCommerce is that you can’t just plug it into any old template and expect a good result. You really need to either have a template that was designed specifically with WooCommerce already in mind, or else be a template wrangling guru. On the positive side, you can take some confidence from the fact that a large community of users also means easier access to support if you need it. The interface is also extendable, although that involves extra cost and effort. This is a good choice for eCommerce experts who are confident building their own systems or who regularly set up eCommerce solutions for their clients. For the complete beginner, WooCommerce may have a little too much on offer, making it difficult to know where to start with it, although the documentation is very good. •	WPEPPA – Or as it is more properly known, WordPress Easy Pay Pay Acceptance is a plug-in that could be described as the polar opposite of WooCommerce. Where the latter is sprawling, complex, and extendable, this plug-in does just one thing, and that is it makes you able to accept payments via PayPal, Visa, MasterCard, and depending on certain geographical factors, possibly other cards as well. This plug-in is most suitable for those situations where your needs are simple and you don’t really want to get too fancy. You just want a simple tool that gets the job done, and this is it, provided you don’t mind PayPal’s high fees and tendency to block accounts when they think they smell a rat. •	Easy Digital Downloads – If you mostly sell digital items or things that have no physical existence (like, for example, psychic readings or prayers), the Easy Digital Downloads is a good choice. Just as with WooCommerce, it is extendable, but it’s different too because it’s actually easy to integrate into any WP theme, not just those which have been specially built for it. While it is a little complex (the “easy” in the name means easy for your customers, not for the person setting up the shop), there is a lot of quality documentation available and for the most part it is quite intuitive. It’s suitable for beginners or experienced users, provided that the product range is essentially non-physical. If you really know what you’re doing, it’s possible to wrangle it into selling physical goods as well, but why go to all that trouble when WooCommerce already lets you sell both types of products without having to get your hands dirty? •	Cart66 – When you want the most flexible range of payment options and the surety of having full PCI compliance without having to actually put in any of the groundwork, Cart66 is the right choice for you. This isn’t as extendable as many of the others on the list, but there are so many features built right in to the system that you probably wouldn’t find many scenarios where you’d need to extend it even further. Cart66 deserves to be more popular than it is, but that lack of popularity is also one of its strengths, because as mentioned earlier, more popularity normally equals more vulnerability. There used to be a free version available, but today visiting the website only offers the possibility of a free trial, and thereafter pricing starts from $9.99 per month. This plug-in is very flexible and can be used just about anywhere. It also is a lot less pedantic than many other eCommerce plug-ins, giving you more freedom to define what you sell and how you sell it. It’s never easy to compile a list of the best products, as people have greatly differing needs and there is a huge range of options out there. With the above list, you have a starting point, but you can certainly explore other options if you find that these don’t quite meet your specific needs. 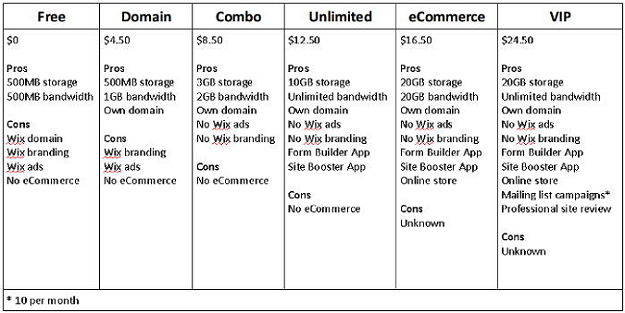 Could One Of These eCommerce Hosting Options Be For You….? The first thing to be aware of when shopping around for eCommerce hosting services is that actually any hosting service can support eCommerce. What this means is that if you’re being given the option to pay a little more for specific eCommerce hosting instead of regular hosting, you need to look very carefully at what additional value or benefits are being provided to justify the extra cost. Once you’re satisfied that it’s a genuinely good deal, you then need to consider whether it’s the best one to meet your needs. Sometimes the most popular services are not always the best, so it’s important to evaluate each and every one on their merits and not simply make the choice based on the fact that it’s a popular service. With that in mind, we review three of the most widely used eCommerce hosting services in this article, and the results are shown below. This is the most popular eCommerce hosting services around, and is aimed at complete beginners to eCommerce. •	Forces EU VAT compliance on digital goods (may not be negative, if you live in the EU or intend to travel there). To get your transaction fees waived, you must use “Shopify Payments”, which is only available to customers with a verified US, Canadian, Australian or UK address. Tough luck if you were born in Mobile but you now live in Mombasa. When a service provides a lot of documentation, it’s usually a good sign. Except, when like Volusion, they provide way too much documentation. Aside from the fact that it would be very difficult to read all of it, the sheer volume is indicative to the new user that they will be in for a difficult time as they try to become familiar with the system. For the small business customer, there are too many negatives to justify the investment. Capped bandwith with no simple way to view bandwidth consumption is the biggest problem, but there’s also a number of other things, such as the extra coding and configuration you’ll be required to do before you can get up and running. For big business, the absence of transaction fees, the ability to do everything on your own domain seamlessly, and the high speed network may be enough to offset these frustrations. If you can get past the stupid name, you’re doing a lot better than many others. It may sound like this review is being rough on Volusion, but not nearly as rough as these guys are being, so you can make up your own mind about whether Volusion is a good investment of time and money for you. This system is just a baby in comparison to Volusion and Shopify, but they are big in every other way. Providing very similar services, but in what feels like a more personal way. •	Not locked in to templates. You can use the templates provided, modify them with plain HTML/CSS or build your own templates. This is not found at Shopify (where you have to learn a whole new markup language) or Volusion (where “customisation” is a foreign word not in their vocabulary). For the non-technical, there’s no problem at all, as everything will work very simply without you needing to learn any hocus pocus, but on the other hand if you do want to make adjustments, anybody you hire to do the job will be able to do it because it’s straightforward coding. All things considered, it really depends what you’re looking for. As a beginner, and needing only a simple online store, Shopify may fill your needs easily. Volusion does have some strengths, especially for big businesses who can absorb high operating costs, but that issue of charging high overage rates on bandwidth coupled with the fact that there’s no simple way to monitor the bandwidth consumption, makes it difficult to recommend Volusion for the small business operator.